As we all know WhatsApp Inc. recently updated their android’s beta version with Google’s Material Design. Which really has some cool animations is promising long awaited update. If You haven’t Still checked it out then you must check it out. Once you connect google drive account with whatsapp account and then when you only want to backup for internal storage but don’t want to backup on google drive, you have to force stop the app after internal storage backup completes. After the google drive backup completes ,if you will go into Google Drive app and will try to find folders for where your backup have been saved , you won’t find anything because the data was saved internally so that only WhatsApp app can access it and user won’t have access to it. 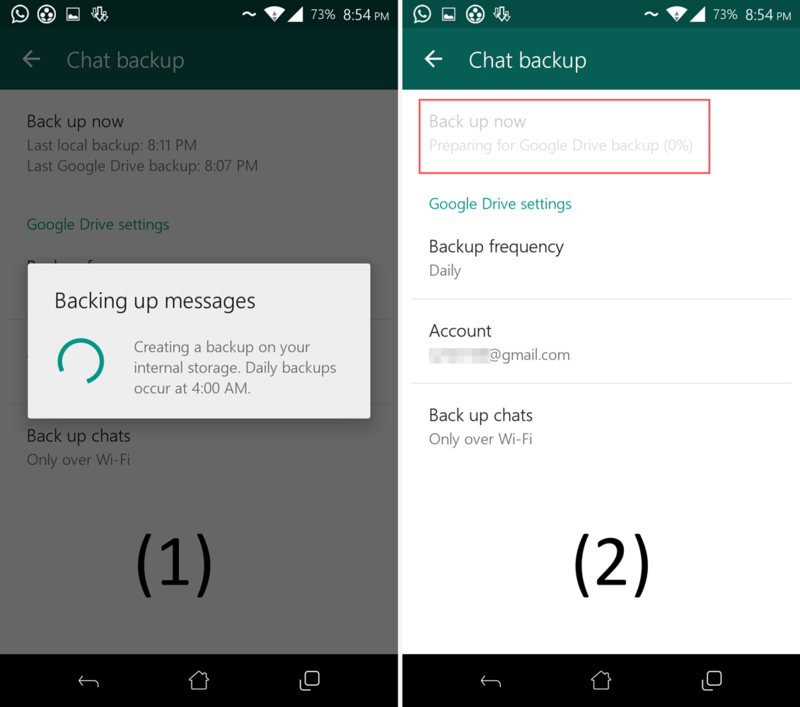 In case if you change/lose your phone or just flashed another custom ROM with clean internal storage wipe or you just lost your chat cause your friend was messing up with your phone, You no longer need to worry about your chat backup if you have backed up your chat in cloud. 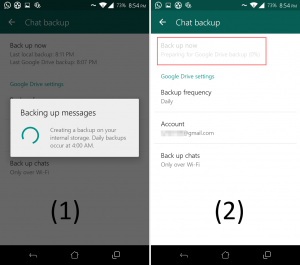 When you will do fresh installation of WhatsApp, app will search for local backup 1st and then it will check for GDrive backup . Then it will sync pics with google drive and download missing pics and conversations data to restore it. So you don’t need to worry about your important chat anymore . Just remember to keep your phone ON for 4:00 am and it will automatically backup chat locally in your phone and into your google drive account. You can also select the automatic Google Drive Backup schedule interval. 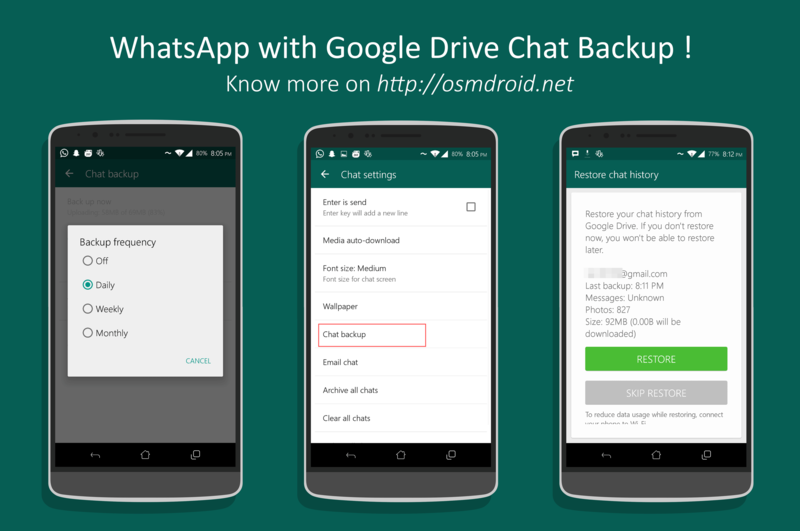 Share the post "WhatsApp Update 2.12.45 supports Google Drive Chat Backup"